The 2014 Sportsman’s Charity Snowball, “The Ball with a party atmosphere”, was held on Saturday 6th December in The Stables at Prestonfield House Hotel, Edinburgh. 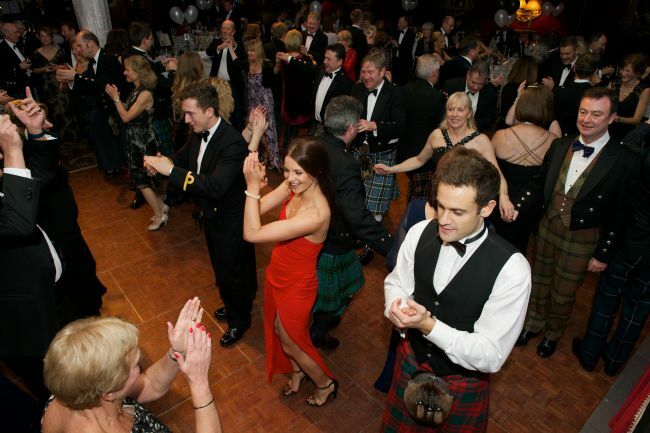 Firmly established in the Edinburgh calendar it will be a glittering evening with dinner and dancing – a marvellous way to start the Festive Season. This year saw a new band, The Lismore Ceilidh Band providing the music and they ensured that evening went with a swing for nearly 200 guests. The 2014 “partner charity” who will received support from Ball was Combat Stress from the £14,500 raised.